Born in New York City, Albert Lorey Groll became a much admired, successful western desert landscape and skyscape painter, although he remained a resident of New York City where he associated with the cultural elite. In 1910, he was elected to the National Academy of Design. Many of his paintings have rich colors and are landscapes with elements of realism but also have a focus on abstract shapes. Groll spent most of his student years in Munich, Germany at the Royal Academy studying with Ludwig Loefftz, and London, England; and he also studied at the Royal Academy in Antwerp, something few Americans were doing in the late 19th century. Although he preferred figure painting, he returned to New York City in 1895 and became exclusively a landscape painter because he could not afford to pay models for figure painting. He painted along the Atlantic Coast and then went West with Brooklyn Indian ethnologist, Professor Stuart Culin, who was writing a treatise on Indian games. 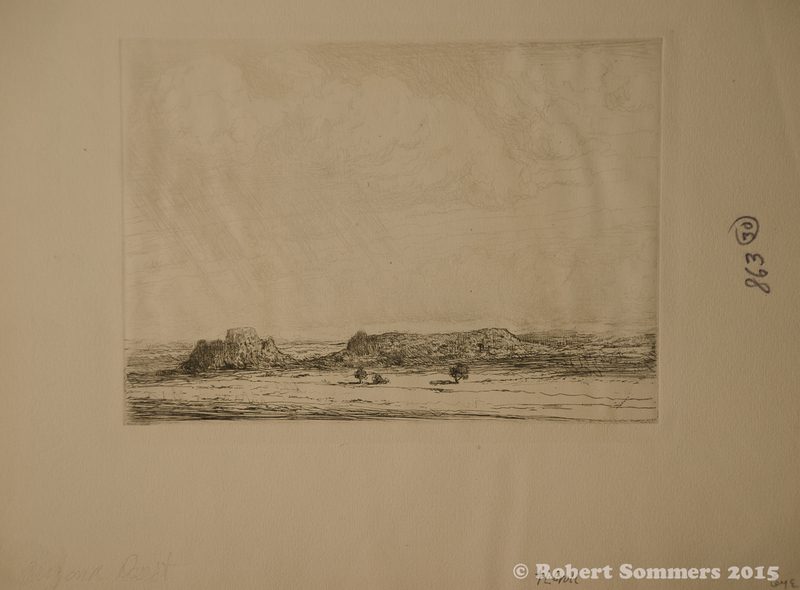 Groll painted landscapes in Arizona and New Mexico, especially skyscapes with towering cloud formations. The Laguna Pueblo Indians of New Mexico were so admiring of his landscapes they named him Chief Bald-Head-Eagle Eye. In 1904, he first went to Arizona, where he accompanied Culin, and became a friend and guest of Indian dealer Lorenzo Hubbell at his well-known Ganado trading post. One of Groll’s desert scenes, Arizona, won a gold medal at the Pennsylvania Academy of Fine Arts in 1906, and after this recognition, Groll wrote to Hubbell that this western paintings “have made a decided hit, both artistically and financially; inf fact, my visit to the Southwest has been my lucky stars.” (Blue, 215) In 1908, Groll spent the summer in Arizona and at Yellowstone National Park. Although he was much recognized in the East, he continued to return to the West, especially the desert, and it was he who alerted the general public to the varying conditions of Arizona that made the desert so appealing. Of this ability, Dorothy Harmsen wrote in her book, American Western Art that he caused Americans to “recognize the artistic possibilities that existed in the desert land of that area. This sagebrush and cactus country, laying broad and low with arid yellow soil, stretching away to a sky full of clouds, makes an unforgettable picture” (84). He also did a lot of painting in New Mexico at Laguna and Santa Fe, and is credited with introducing William Robinson Leigh to the Southwest. Subsequently Leigh became more famous for his paintings of the region than Groll. The two of them had studied together in Munich, and at Groll’s suggestion, first went to New Mexico in 1906. In addition to the method of pure oil painting, Groll mixed crayon with oil and sometimes scuffed the surface to get a textural effect.